SHE WOULD BE ROBERT THORNHILL! "This book marks the first time a mystery story has made me laugh out loud. I laughed until tears were running, and my sides ached! I laughed so hard that my husband came to see if I was OK."
"This has to be one of the funniest books I have read in a long time. It's just bawdy enough to catch one off guard every once in a while yet it would qualify as a cozy mystery. I was in tears laughing." "There is never a dull moment. You will find yourself laughing out loud at times, and gripping your seat in suspense at others. I highly recommend this book!" "I don't know how he does it! Robert Thornhill tackles difficult and controversial topics, yet at the same time keeps us laughing with his trademark sense of humor"
"The books are fast paced, funny, sad, everything that you could want in a book." "If you are looking for a book that honestly makes you smile while reading, feel good when your done and wanting more then this is the book for you!" A Master of Hysterical Fiction! Lady Justice Takes a C.R.A.P. Lady Justice is drawn into a battle with religious zealots! A new Dr. Death is practicing euthanasia in Kansas City! Is it justice or is it murder? "Big Brother is watching you!" Those were the words of George Orwell in his novel, 1984. Join Walt on the campaign trail for an adventure full of mystery, intrigue and laughs! Members of the Midtown Book Club are found murdered. into the twisted world of a serial killer. The perfect blend of murder, mayhem and merriment! Ox and Judy are off to their Alaskan honeymoon cruise and they have asked Walt and Maggie to ride along --- and what a ride it turns out to be! When passengers start to disappear, our gang is drawn into shipboard intrigue as they attempt to solve the cruise ship murders. Another nail-biting mystery that will have you on the edge of your seat one minute and laughing out loud the next! Named "Best New Mystery Novel"
For most people, a 50th class reunion is a time to party and renew old acquaintances, but Walt Williams isn't an ordinary guy --- he's a cop, and trouble seems to follow him everywhere he goes. Old flames, bullies and a scorned classmate make Walt’s reunion one to remember. The Mexican drug cartel is recruiting young Latino girls as drug mules and the Kansas City Police have hit a brick wall until Walt is given a lead by an old classmate. Even then, it takes three unlikely heroes from the Whispering Hills Retirement Village to help Walt and Ox end the cartel's reign of terror. Join Walt in a class reunion filled with mystery, intrigue, jealousy and a belly-full of laughs! Two radical groups have joined together for a common purpose --- to kill the President of the United States, and they're looking for the perfect person to do the job. Not a cold-blooded killer or a vicious assassin, but a model citizen, far removed from the watchful eyes of Homeland Security. When the president comes to Kansas City, the unlikely trio of Walt, Willie and Louie the Lip find themselves knee-deep in the planned assassination. Join our heroes for another suspenseful mystery and lots of laughs! Two septuagenarians win the lottery's biggest prize, dragging Walt and Ox into the most bizarre cases of their career. The two 'oldies' are determined to use their new found wealth to re-create the past but instead propel Walt into the future where he must use drones and Star Trek phasers to balance the scales of justice. When an extortion plot turns into kidnapping, Walt must boldly go where no cop has gone before to save himself and the millionaire. Come along for another hilarious ride with the world's oldest and most lovable cop! Ben Singleton, a Marine veteran, had returned from a tour of duty in Afghanistan and was having difficulty adjusting to civilian life. Fate, coincidence, or something else thrust him right into the heart of some of Walt and Ox’s most difficult cases. Our heroes find themselves knee-deep in trouble as they go undercover in a nursing home to smoke out practitioners of Medicaid fraud, meanwhile, Islamic terrorists with ties to the Taliban are plotting to attack one of Kansas City’s most cherished institutions. Join Walt and his band of senior sidekicks on another emotional roller coaster ride that will have you shedding tears of laughter one minute and sorrow the next. A badly burned body with a fresh incision and a missing kidney leads Walt into the clandestine world of an organ trader ring that has set up shop in Kansas City. Walt is determined to bring to justice the bootleggers, who purchase body parts from the disadvantaged and sell them to people with means, until a relative from Maggie’s past turns up needing a kidney to survive. Once again, Walt discovers that very little in his world is black and white. An artifact is stolen from the King Tut exhibit, setting in motion a string of bizarre murders that baffle the Kansas City Police Department. Are the deaths the result of an ancient curse or modern day mayhem? Follow the clues with Walt and decide for yourself! With the death of a young black man, Walt and Ox are dragged into the eye of a storm as Kansas City erupts in violence and demonstrations. Fearing for their lives, Captain Short sends them on assignment to Cabo San Lucas where they find themselves in the eye of a very different and even more dangerous storm --- Hurricane Odile. Surviving these ordeals pushes both men beyond the limits of anything they have experienced, and leaves Walt facing one of the most important decisions of his life. After five years on the police force, a bullet in the kiester from a vengeful gangbanger convinces Walt that it’s time to turn in his badge. Walt realizes once again that retirement just isn’t his cup of tea, and with a little urging from his brother-in-law, decides to become a private investigator. For five years he had served the Lady Justice wearing a white robe and a blindfold and followed the rules, but he soon discovered that the P.I. business was leading him across the line into the dark side and a completely different set of rules. 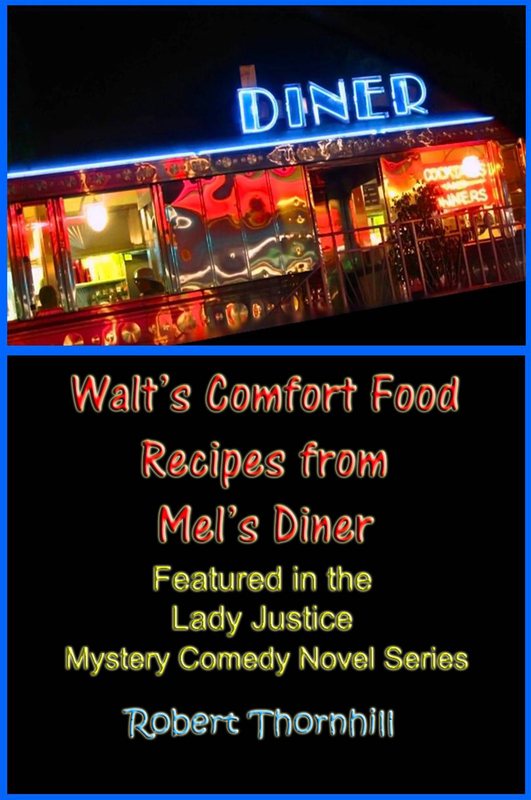 When Walt comes face to face with the Lady Justice on the dark side, dressed in a tight skirt, fishnet stockings and high heels, he is faced with decisions that will change the course of his life. Walt goes under the knife for a heart operation and while in the hospital, stumbles upon a series of mysterious deaths that are certainly not from natural causes. He solves that mystery only to discover that people on the transplant waiting list are suddenly dying as well. Then, information about a terrorist plot is found on a heart attack victim who has been rushed to the ICU. Throughout it all, Walt discovers that there are many ways that a person may die of a broken heart. Those fluffy white trails crisscrossing the sky --- some say they are simply water vapor frozen into crystals. Others say they are deadly chemicals, some of which are for military defense, and others to control the weather and the world’s food supply. Are the chemtrails really part of a clandestine government conspiracy? Four people believe so, and claim they have proof, but each of their lives comes to a tragic and mysterious end before they can offer their proof to the world. Join private investigator, Walt Williams, as he searches for the truth and looks for clues to explain the untimely deaths. Investigative reporter, Jack Carson, has been murdered, but by whom? Police arrest mob boss Carmine Marchetti, but Walt is convinced that it was the work of government assassins, sent to silence the reporter before he could expose a clandestine program that for decades had been spraying deadly chemicals into the atmosphere for weather control and defense. Will justice prevail or will the government’s dirty little secret remain hidden? Is there really a spirit world? And if there is, can those disembodied souls communicate with the living? Can departed love ones speak to family from beyond the grave? These are questions Walt must ponder when a bizarre series of paranormal events lead his friend, Mary, to a treasure hidden away for seventy years, and a family she never knew existed. A light-hearted look at things that go ‘bump’ in the night. What do a Confederate soldier who died on the field of battle, a woman who was driven from her home by the ravages of the Civil War, and a man who perished in a turn-of-the-century asylum have in common? They all contact private investigator, Walt Williams. A bizarre series of events surrounding these paranormal visits culminate in the discovery of a terrorist plot to detonate bombs at a crowded festival. Once again, Lady Justice pairs Walt with forces from beyond the veil to solve mysteries hidden for decades and bring evil-doers to justice. Walt and his senior sidekicks match wits with a killer clown, and an assassin hired by Big Pharma to murder a holistic physician working on a cure for cancer. Things were going bad when a mysterious government spy appeared to save the day, but this spy had an ulterior motive, and it involved a member of Walt’s entourage. 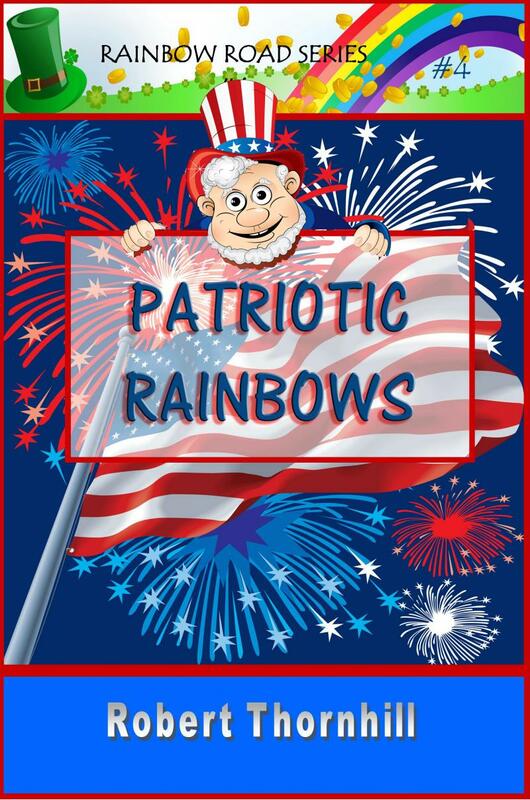 Chemtrails, conspiracies, and clowns are a recipe for disaster, but Walt and Lady Justice prevail. A treasure hunter is murdered and his discovery is stolen. Members of a terrorist cell which have plans for a devastating attack, recognize Sara Savage, a retired CIA operative, kidnap her, and hold her for ransom. And who does Lady Justice send to help private investigator Walt Williams save the day? Walt forms an uneasy alliance with the feline crime fighter to solve the mysteries and bring the bad guys to justice. It’s a laugh a minute as Walt spars with his new furry partner and the forces of evil. Inspired by their hero, Walt Williams, three retirees decide to give Lady Justice a helping hand. Although their intentions are good, these septuagenarian sleuths get crossways with the Kansas City mafia, dangerous drug dealers, and the Russian mob. Walt must come to their rescue, putting himself in harm’s way to pull their eager, but aging, fannies out of the fire. Follow the action as Walt and the geriatric gumshoes prove once again that good guys can triumph over evil, no matter how old they are. A ten-year-old boy has a bike accident and suffers a concussion. A neural connection is made that gives him the ability to have insight into future events. This young boy, with his new sixth sense, joins forces with Walt to exonerate a man who has been unjustly accused of murder, and thwart a plot to assassinate the President of the United States. Once again Lady Justice prevails, this time thanks to the unlikely collaboration of a young savant and a seventy-four-year-old private investigator. Three children, a boy eight, and two six-year-old girls, see violence so terrifying that they retreat into the magical, make-believe world of Puff the Magic Dragon where they feel safe and secure. P.I. Walt Williams teams up with Lady Justice and Puff to protect the kids from vicious muggers, an abusive husband, and a sexual predator. Once again, justice is served when Walt and his senior sidekicks come to the rescue. A story filled with fears, tears, laughter, and hope. Throughout history, men have used their wealth, power, and prestige to harass, manipulate, and coerce women to fulfill their sexual desires. Fed up with the ‘good ole boy’ status quo, the Black Widow appears in Kansas City to avenge the women who have fallen victim to their male predators. Fate throws P.I Walt Williams into the path of the Widow as she exacts her vengeance on the guilty. Is the Black Widow a new cult heroine or a cold-blooded killer? Devil’s Breath is called the most dangerous drug in the world, and it’s come to Kansas City. It is said that it takes away a person’s free will, and minions of a Columbian drug lord are using it to rob, steal, kidnap, and even commit murder. Fate throws Walt and his geriatric sidekicks into the path of the purveyors of Devil’s Breath endangering their lives and the lives of those around them. Once again, Walt finds himself face-to-face with the Grim Reaper. Will he survive to continue serving Lady Justice, or will the Devil’s Breath take his last breath away? A mysterious box left by a dying man falls into Walt’s hands. He learns, much to his dismay, that the box is being sought by agents from four countries. Walt has no idea what the box contains but is told that in the right hands it could be a blessing to mankind, but in the wrong hands, a curse. Walt is charged with the safekeeping of the box, but at what expense? Others who have come in contact with the box are dead. At some point, Walt must decide whether the contents of the box are worth risking the lives of those closest to him. Walt and Maggie purchase a run-down mansion with plans to restore it to its former grandeur, not knowing that every previous owner had suffered a terrible tragedy due to a centuries-old curse. During the restoration, the mysterious mansion reveals dark secrets that have been hidden away for decades. As restless spirits and hidden corpses are found, Walt and Maggie fear they may become the next victims of the evil curse. Walt has a mysterious box hidden in his safe. He has been told it contains a device that can be either a blessing or a curse to mankind depending on who possess it. A Dr. Skinner comes to Kansas City and convinces Walt that he will use the device for altruistic endeavors. But others covet the device for more clandestine purposes. It is the classic confrontation of good vs evil. The question is: which one will possess the device in the end? When terrorists plot to blow up five of the country’s ammunition plants, Lady Justice calls on Quirky Arlo Quimby as her newest recruit. But Arlo himself becomes a target due to his association with a controversial and unorthodox group. Once again, Walt finds himself knee-deep in conspiracies and assassins. The Russian mob recruited a hired gun from New York, and the guy looked exactly like Walt Williams. This uncanny resemblance landed Walt in the dog house with his wife, the cops, and the Italian mob. It takes all Walt’s skill and cunning to stave off an all-out war between the Russians and Italians, and undo the damage wrought by his evil twin. Click Here For the Links. LADY JUSTICE NOVELS NOW AVAILABLE ON AUDIO! A cookbook that will make you laugh! Girls can have super powers too! Can the kids save the Liberty Bell? For kids who love sports! A trip back in time! Can the kids help Santa save Christmas? So how do you write a book? Website Technology ©2007 American Author.